KitchenAid Classic Stand Mixer $189.99 + Cash Back! I don’t post a lot of deals anymore here on Pennywise, but I wanted to share this one because I am very passionate about something. My KitchenAid has been with me through thick buttercream and thin. I wouldn’t want to go through that with any other kinda mixer. 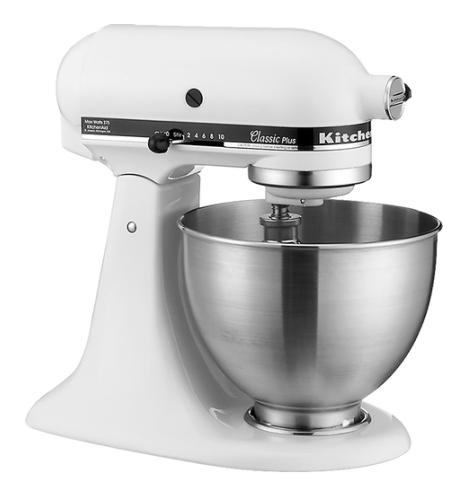 Today at Best Buy, the Deal of the Day is the KitchenAid Classic Stand Mixer for just $189.99! That’s down $60 from the original price of $249. I’m used to seeing them for around $299 so this is a great price. Now, why not get some cash back on this purchase if you can? TopCashBack will give you 2.25% cash back for this purchase! You purchase just like you would at the Best Buy site only they say “hey! they purchased through us, so let’s give them some cash!”. In the search bar at the top, type on Best Buy. You’ll find Best Buy at the top and click on the Cash Back button. Then the Get Cash Back Now button. It will take you to the Best Buy site where you can click on Deals > Deal of the Day. Bam- Get your stand mixer! This deal is good today (1/23/2015) only! 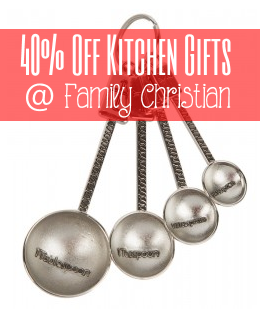 40% Off Kitchen Gifts at Family Christian! I have some more gift ideas for you today! Now here’s a sale that I can get excited about! I’m a sucker for cutsy kitchen gadgets. I love cooking, but cooking with an adorable spatula makes it more fun somehow. Tell me that I’m not the only one! So these adorable Metal Measuring Spoons with Cross Emblem? Yeah, they reeled me in. I’m going to get a couple of these for gifts. And I’m going to grab a set for myself. They are normally $14.99 but they are on sale for just $8.99 right now! 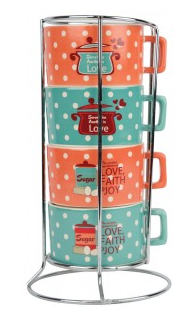 Or what about these Retro Look Stackable Mugs with Rack. These would look great sitting around my kitchen. The top two say “Serve One Another in Love” and the bottom two say “The Sweetest Ingredients Are Love, Joy, & Faith”. I LOVE these. Normally $24.99, right now during this sale you can get them for just $14.99! There no doubt that I will be buying a set of these. How adorable are they? This Retro Look Measuring Cup Set comes with four different cups including 1/4, 1/3, 1/2, and 1 cup measurements. It’s currently on sale for $10.79! There is a bunch more and ALL of the Kitchen Gifts at Family Christian are 40% off! You need to check it out! Sale is good 12/5- 12/24! I am not completely sure that I have processed the fact that it is already time for CHRISTMAS! Have you? I guess whether I’ve processed it or not, I have to get ready for it. And I’m ok with that, because I LOVE Christmas. The magic and joy that it brings to everybody’s heart. The cookies and milk. Cocoa by the fire. It’s all so cozy and warm and it’s hard to be down during the holidays. However, with all that said, it can be stressful figuring out what to get everyone. There is some good stuff out there this year. It keeps getting better and better doesn’t it? From the tablets to the coolest new toys for the kiddos, there is so much to choose from. And I am a big fan of shopping online. I like going into stores to get my hands on things and hold them. Read their box and all that fun stuff. But there is something to be said about sitting on my couch in my pj’s with a cup of coffee and having my purchase shipped to me! If you’re still working on some ideas for gifts, I have got some awesome ideas for you! Best Buy always has the latest and greatest gift ideas and at at an affordable price. Hang onto your seat while I stun you with a few killer gift ideas.. Many of the bundles are $50 off right now and on sale. Perfect time to check them out! Find all the Xbox One deals here. These are definitely on my list. Between the twin passive radiators for deep bass, the massive 6000mAh battery and the hands-free conference speakerphone the key benefit is the Bluetooth Social Mode which allows up to three different users to take their turns to play their own playlists on a single speaker. 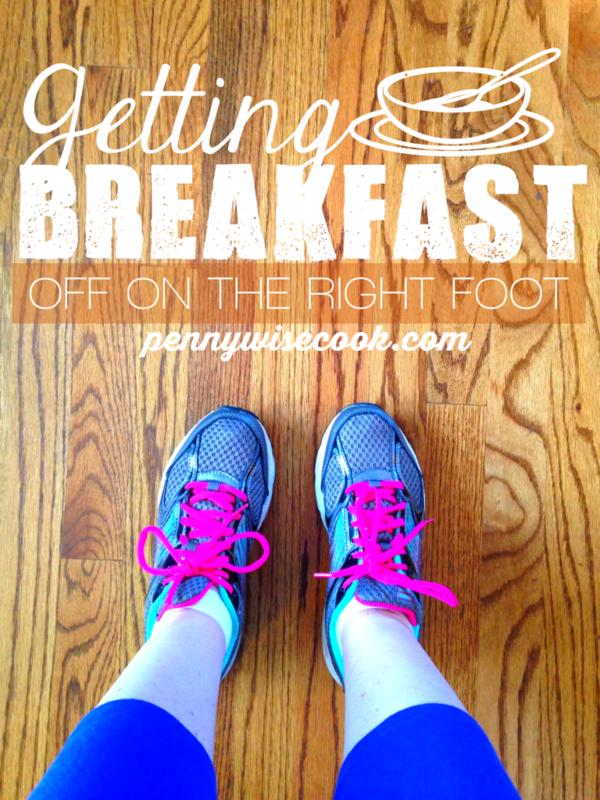 You can use these anywhere! Take them outside when you’re washing the car. Take them to the beach when you’re getting your tan on. Set it out during your Christmas party. My portable speakers are a must these days. Now THESE are cool. You can walk up to 40 FEET away from your device while wearing these. Sweat proof ergonomic design. With a 5 hour rechargeable battery and a reach of about 40 feet, the JBL Reflect BT’s key benefit is the design of the ergonomic eartips along with the built-in magnets which keep your buds on standby without loose cables. Find all of the JBL holiday gift ideas at Best Buy here. There are 3 GPS devices that I want to highlight for you. Each has it’s own specs. Check them out below. You can find all the Garmin and TomTom GPS devices at Best Buy here. I’m still crossing my fingers hoping that my hubby is reading this. 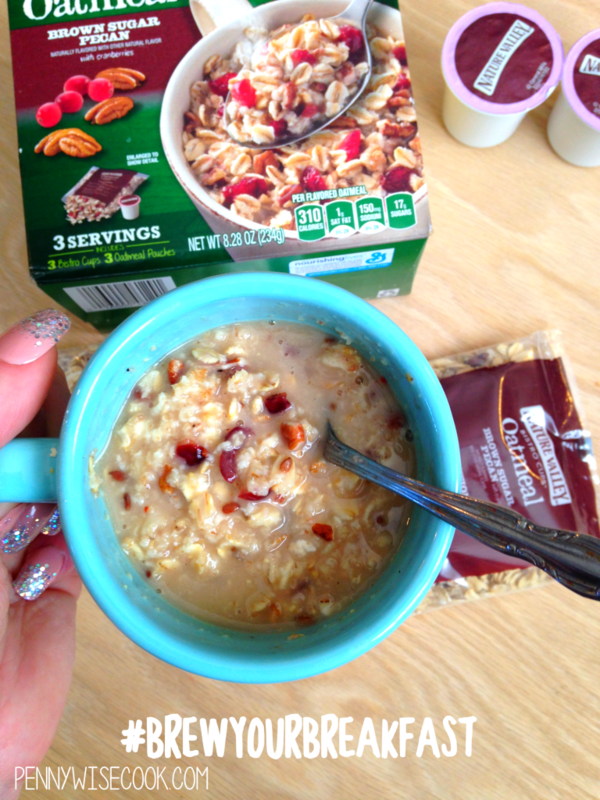 After all, it’s #HintingSeason! Be sure to check out Best Buy! The reviewer has been compensated in the form of a Best Buy Gift Card and/or received the product/service at a reduced price or for free. All opinions expressed are 100% my own. 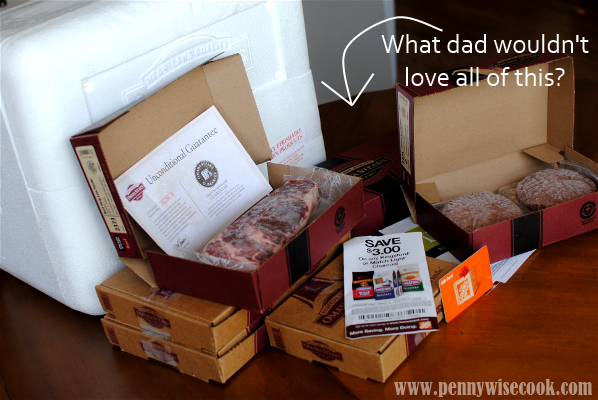 Father’s Day Gift Idea: Omaha Steaks! Every year about the time blooms start to form on all the trees, men everywhere begin to get excited. Excited about summer, sun, and fun? Maybe. Excited about vacations? Could be. But mostly because…it’s grilling season. Ah yes, the time when testosterone gets to run wild while the burgers, dogs, and steaks grill to perfection on a warm summer’s day. It’s quite the thrill. I gotta admit, the take over of dinner gives me a break so I’m not complaining! Hey, I might even do the dishes. We love to grill. I’m pretty sure that just the mention of that word gets my husband so excited that he could frolic through the wildflowers. Is that true for all men? Pretty sure that’s a yes. The picture above is the epitome of successful meal during grilling season. Aside from a big, tasty steak of course. 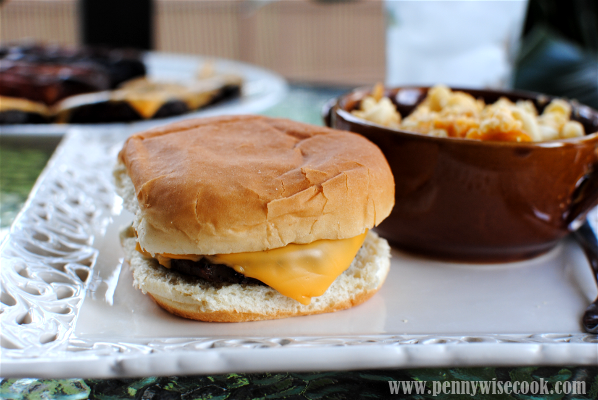 I was so lucky to be able to try out this super yummy Omaha Steaks package. I’m telling you, this is the ultimate idea for Father’s Day seeing as it has everything a dad would want for summer grilling. That is a lot of meat. Like, a lot. It’s regularly $175, but is on sale for $69.99! Savings of $105.01. Plus, they arrive in 3-5 days so even if you’re shopping for dad last minute you can still get in on this. 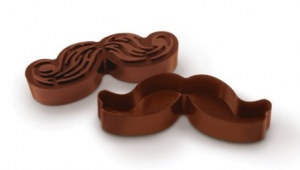 Father’s Day is June 15th, 2014! Ordering was really easy. The whole process took me less than 5 minutes and my package arrived just 3 days after ordering! The coupon for Kingsford Charcoal at Home Depot is a nice touch since many men prefer the taste of charcoal grilling. You can buy Kingsford Charcoal at participating Home Depots. 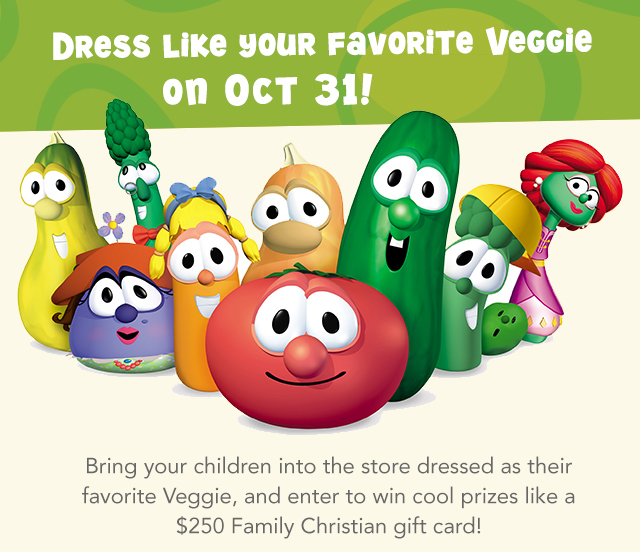 You can check here for a list of participating stores. Now better than ever, Kingsford® Charcoal features Sure Fire Grooves®. These deep, wide and long grooves mean the briquets light easier and heat faster — while burning just as long as before. As always, each briquet is made with natural ingredients and real wood, resulting in the authentic smoky flavor that Kingsford has long been known for. Visit grilling.com for additional recipes. The contents of the Omaha Steaks package were all packaged very well. They come in the cooler you see above wrapped with dry ice to keep them frozen for a long period of time. It’s best to freeze them pretty quickly after they arrive so try to make sure you’ll be home on the estimated delivery date. One of my favorite things about ordering from Omaha Steaks is that they vacuum seal their packages. They are SO easy to thaw. We got all ready to grill out today and realized that they were still frozen. Then I remembered how easy it was to thaw these and I was instantly relieved. 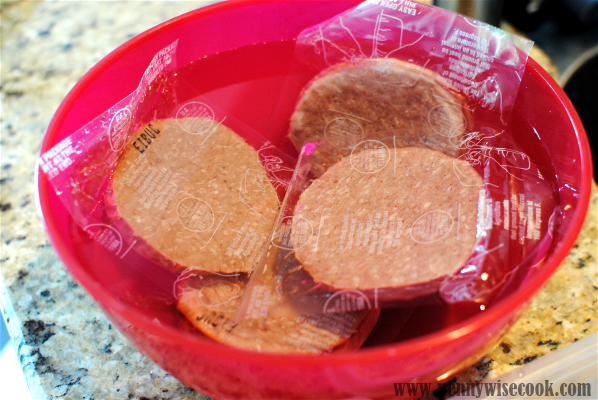 I placed the burgers (still in their vacuum-sealed packages) in cool water for about 35 minutes and we were ready to go! 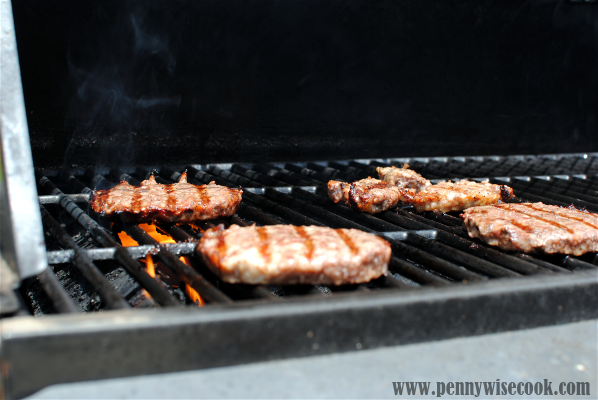 If you’re using charcoal then it might take that much time to prepare the grill! 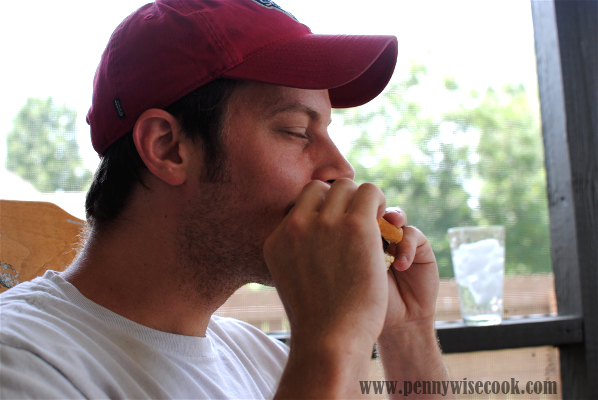 We did this with the humongous jumbo franks we got too and it worked for them as well. After thawing them out, they grilled up beautifully. 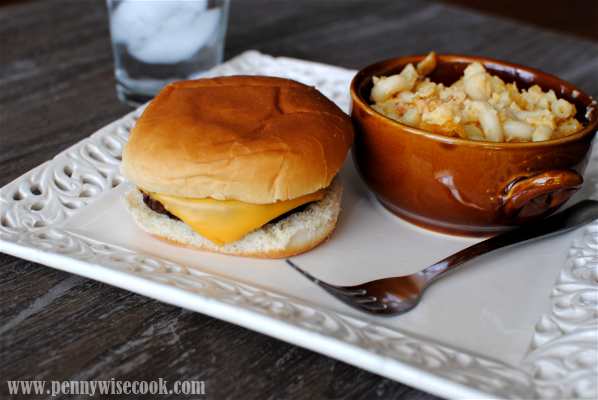 We had some leftover macaroni and cheese that combined with the burgers, made for such a tasty lunch! There’s nothing like a good grill out! The quality of the meat Omaha Steaks offers is really good in my opinion. We’ve always liked their burgers and steaks. 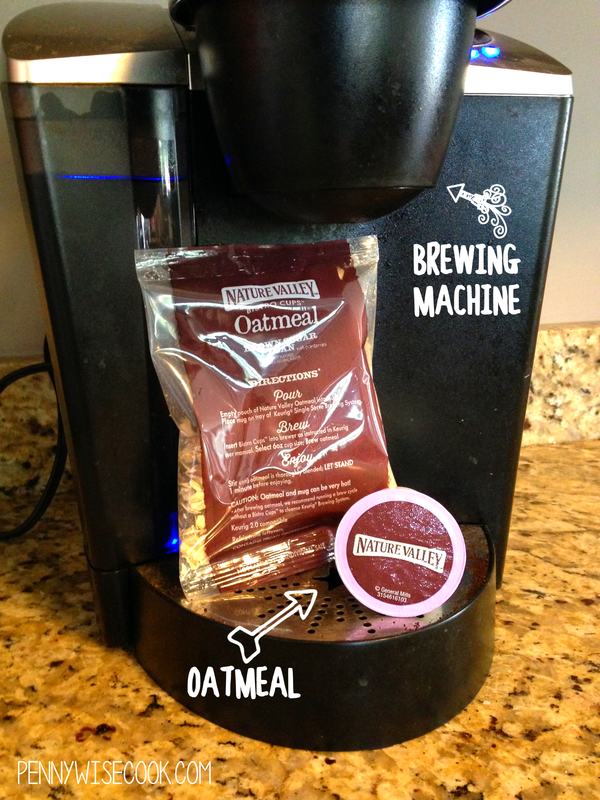 Mom tested and dad approved! If you’d like to grab one of these Omaha Steaks packages for dad this Father’s Day, head over to OmahaSteaks.com/HomeDepot and grab not only some fabulous meat, but also a Home Depot gift card and discount on Kingsford charcoal! First of all, did you realize that you can print coupons from Pennywise Cook? Take a gander at the navigation bar at the top and hover over the coupons tab and there are TONS of them to choose from! I’m going to work on doing a better job of showing you some of the most fab ones that pop up. I will begin with this $1 off any ONE Capri Sun 100% Juice or Super V coupon. 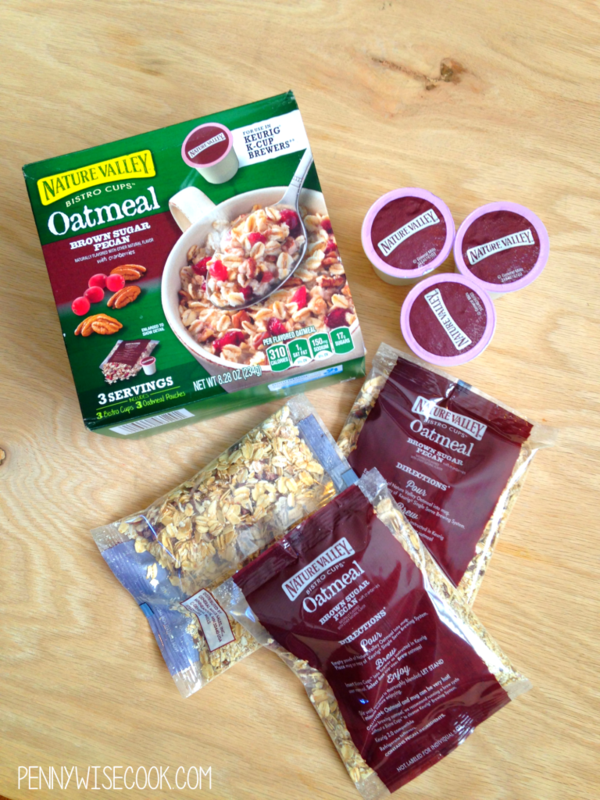 At Target, you can grab these for only $.33 after the following little coupon maneuver. You will need to be able to print your coupons from 2 computers since there is a limit of 2 coupons per computer. Buy (3) Capri Sun Super V Packs $3 each (on sale)= $9 Use (3) $1/1 printables= $6 Receive FREE $5 Target Gift Card Final Price= $1 or $.33 each! Yes, my inner Saving with Amy has been raring her head lately since we are trying to save money. You may see a few more deals like these! I hope that you enjoy them. Thanks to The Coupon Centsation for the deal! One of my most favorite places to grab deals on things for my kitchen (appliances, utensils, supplies, etc.) is Amazon. Not just because I can use my Swag Bucks to get gift cards there, but also because they usually have the lowest prices that you’ll find on most anything. I can’t tell you how many times I go out to buy something and get to a store only to say I’ll get that at Amazon instead. You just can’t deny it! 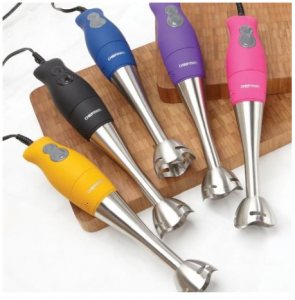 I thought it might be helpful to round up a few of my favorite deals on kitchen gadgets and things in case you’re looking for one! This Rival Step Vacuum Sealer W/Bag Starter Kit is normally $79.99 marked down to just $29.99! Normally $39.95, Amazon has a Chefman Rubberized Cordless Immersion Blender and Bonus Measuring Cup for $19.95! (As a side note, this picture shows cords which is odd because it’s cordless. I’m guessing they have two different versions and used pictures from the other maybe? Or if you’re among those enjoying the mustache trend right now, check out these Fred and Friends MUST Munchstaches Cookie Cutters for $2.73. Great item to add to your order if you need to reach $25 for free shipping. Or if you need some summer reading materials, there are tons of FREE Amazon eBooks! Check those out. Please note that Amazon prices can change in a flash so jump on any deal that you are interested in! This is a genuine smile on my face y’all. Coffee makes me quite happy. 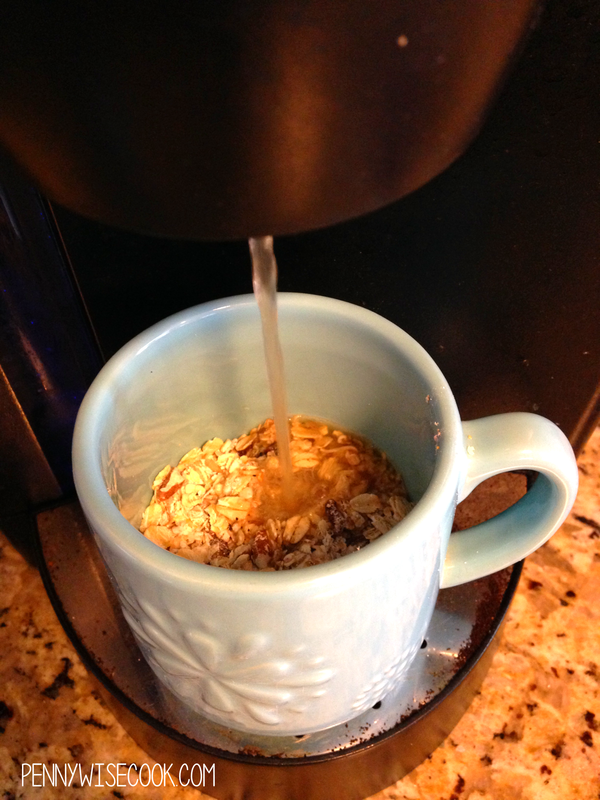 I wouldn’t consider myself to be an expert on coffee, but I can usually tell if it’s a good cup or bad cup. You’d think that I would be one of those who enjoyed their coffee dark and bold. Since moving over here to Pennywise Cook last year, I haven’t shared with you guys the power of Swag Bucks. This is in fact, my secret to getting my free Starbucks gift cards. 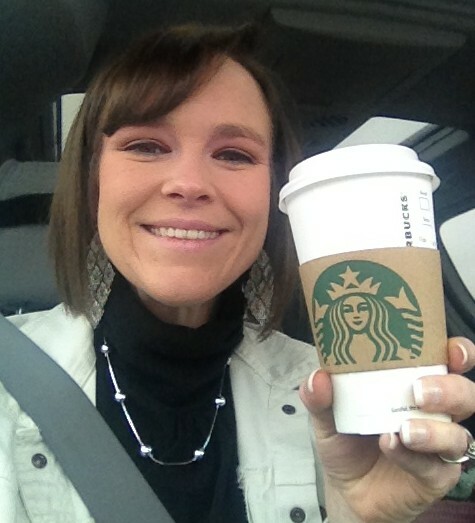 Starbucks is not the only gift card you can get your hands on when you redeem your Swag Bucks. You can grab a gift card to Target, O’Charley’s, even get CASH through Paypal with your Swag Bucks. Love to shop at Amazon? Turn your Swag Bucks into FREE purchases at Amazon by redeeming for a gift card. Swag Bucks is online community where you earn digital dollars called “Swag Bucks” which you can redeem for all kinds of things including merchandise and gift cards. What do I have to do to earn these Swag Bucks? Searching– this is by far the easiest way to earn. Simply login to the Swagbucks website and use their search bar to input your inquiry. They’ll give you responses from Google and from Ask.com. So if you use those search engines already, then it won’t be much of a change. During random searches that you perform, you will win Swag Bucks! They will ask you to input a special code from an image to confirm your win. Then they will automatically add them to your account. You can look up at your number and it will blink red. Redeem Coupons– They have a section where you can print off coupons. For every coupon that you redeem at the store, you will earn 10 Swag Bucks. Just keep in mind that it can take up to 8-12 weeks for the Swag Bucks to post to your account. Signing up for Daily Deal Sites– Swag Bucks will give you some for signing up through them for Daily Deal Sites or for making purchases. You must be a new user. The fine print will tell you the requirement to receive Swag Bucks. Daily Poll– You can earn 1 Swag Buck each day for voting in the Daily Poll. Woohoo! 😉 Not much, but every little bit counts. Games– Play games through Swagbucks and they will randomly award you during the games. No Obligation Special Offers (NOSO)– Click through a bunch of offers that you may or may not want to participate in and each day you can earn 1 more Swag Buck for doing so. Once per 24 hour period! Special Offers– These require a purchase usually at some point. Some may be free trials and other may require payment right away. This is guaranteed Swag Bucks. Swag Bucks TV– This one is fairly new. Watch videos to earn Swag Bucks. Videos must actually finish in order to earn and multiple videos are required. There is a progress meter to keep up with your earning progress through videos. Tasks– Perform simple little tasks for Swag Bucks such as giving them questions, finding business reviews and more to earn a little Swagbucks. Trade-In– Trade in old electronics and they will give you Swag Bucks in return. This is a nice way to recycle and to earn something in return. Surveys– Take surveys that you qualify for to earn Swag Bucks. Some earn more than others. Of course, it’s free to do this. On my site, you’ll find my Swidget. Here you’ll easily be able to do a quick search (with the possibility of earning Swag Bucks!) without having to change windows or leave Pennywise Cook. When I was expecting Britton, I stocked up on diapers by doing the Amazon gift card thing. I got over $50 in diapers for FREE! That same year, I did a lot of my Christmas shopping through Amazon with my Swagbucks. It has really been a blessing. Fridays are MEGA Swag Bucks Day! That means that you can earn double or even triple the normal amount just by doing what you already do. It’s at random but totally worth trying it out. I always do a few searches just to see how many I can score. So be SURE to get to swaggin’ on Fridays y’all! Ok, so what are you waiting for? If you aren’t yet signed up with Swag Bucks, then you NEED to do so HERE. I don’t like to share too many deals over here on Pennywise Cook, but if I find one related to our love of cooking I will! 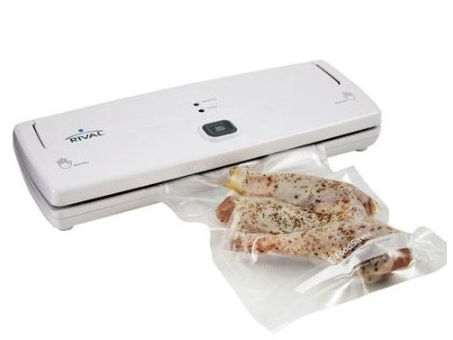 Like this deal of the day at Amazon today. 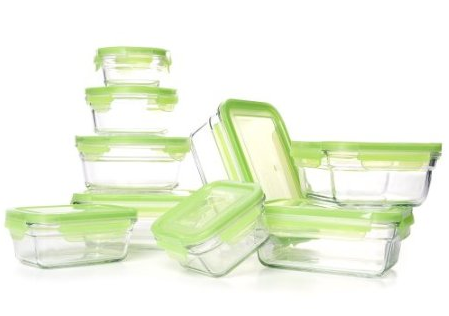 This 18-Piece Glasslock Snapware Tempered Glass Food Storage Set is 50% off for only $19.99 today only. (FREE shipping too) I really like storing my food in glass rather than plastic but it’s always so much more expensive. And this set appears to be cookware also! 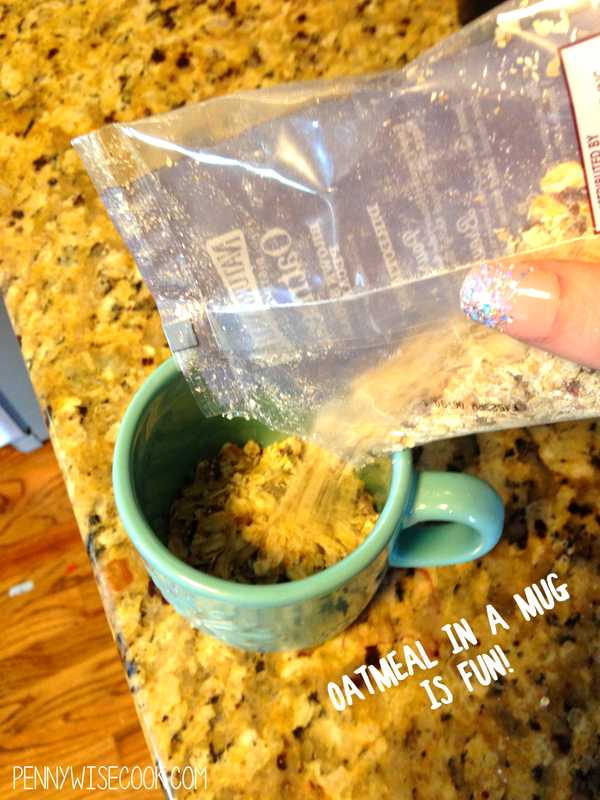 The description says you can use it in the oven, microwave, freezer, and dishwasher! That is my kinda food storage set y’all. Just don’t put the lids in the oven please. Anywho, hope this helps somebody in need of a new set. It’s a good price considering it’s normally $39.99.